Hi friends this article is about the tips for safe listening I hope this information is helpful for you.The rate of hearing impairment in teenagers is Approximately 30 percent higher than it was in the 1980s and 1990s.it was observed by who that notify that 1.1 billion teenagers and adults worldwide are in risk from hearing loss problem due to dangerous listening habits.That is unsafe at noisy place place like market,sports event,stadium without earplugs along with the unsafe use of head phone.we listening music while out for walk ,in the car ,at home,at the gym as well as while falling as sleep. if you hear louder than 85 decibels can trigger permanent hearing loss you don’t need to measure the level of sound in decibel when you listen music.you should keep your music player volume not more than 60 percent.Normal conversation register approximately 60 decibel so if you listening music you have to raise your voice when communicating to somebody,that’s good that you should turn down the volume. 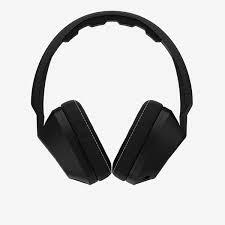 The reason of choosing right headphone is that most of us have a hard time keeping our MP3 player volume at under 60 percent of its maximum is a consequence of background noise. As environmental noise increases, like in a congested gym, we have to compensate by increasing the music volume.The solution to this one is the noise canceling headphone. if background noise is less then we can listen sound at high quality at less volume.Low-quality ear buds, alternatively, have the disadvantage of being more closely to your eardrum and being incapable of decreasing background noise. Hearing disability is not function of volume it is also a function of time. we previously recommend that your mp3 player volume at maximum 60 % another thing is that your listening time is under 60 minute a day at this volume. We already discussed that loud music can damage our ears and most of the people believe that our eardrum can’t be rupture we are ok but in real vibrations are translated in to what our brain understand as sound take place behind the eardrum,in our inner ear. as well as they suggest you about some impractical listening tactics so you can get the most out of your portable player while protect your hearing . Anyone who think that Hearing loss conduct to other health condition. Hearing loss can occur for a number of reasons. Some causes are natural and others might surprise you. Getting your hearing treatment may not only provide the solution you required but also might help to identify other health issues that may be impacting you. 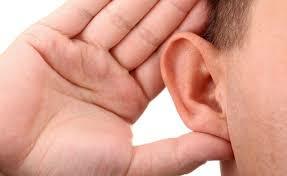 Issues like cancer,diabetes and more health related problem occurs from hearing loss impairment. Hearing loss lead to increase the chance of developing Dementia as compare to normal level of hearing. They can cause loss of memory,anger, fatigue, stress. Hearing impairment directly affected your kidney. Moderate kidney disease associated with 43% increase the risk of hearing loss. Heart disease is a very serious issue. 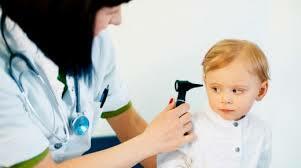 Deafness lead to high risk to developing the heart relates diseases as well as normal hearing. Hearing loss is a risk factor diabetes. hearing loss is around 2 time as basic in grown-ups with diabetes than with the individuals who don’t have the infection. Hearing loss lead to depression. 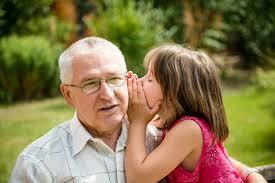 Adult age around 70 are at higher risk of falling into a depression, caused by loss of hearing. Hearing impairment lead to many problem related to blood more than 70% people are affected by blood related problem because of hearing loss. So that we Need to take care about his health and if you feel any problem related to hearing health then you don’t need to worry you consult with with an audiologist for hearing Test they check your hearing and give proper suggestion.If you want to learn more information so please visit our site https://www.hearingsol.com/ and get solution of your every problem.